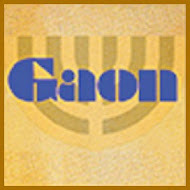 Remembering Simon Typograph: Abq Jew never got to meet Simon Typograph. According to the Family Tree that Abq Jew received from his father, of blessed memory (now on MyHeritage.com), Simon Typograph (1864-1939) is the husband of Fannie (Kellerman) Typograph (1875-1940). Fannie is a sister of Rose (Kellerman) Rosenfield (1880-1969) - Abq Jew's great-grandmother, who we all called Momsy. Momsy is, of course, the wife of Morris Rosenfield (1877-1937), aka Popsy, for whom Abq Jew is named. 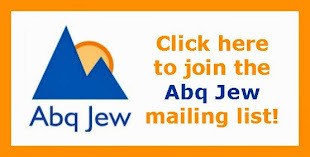 Why is Abq Jew bringing this up just now? 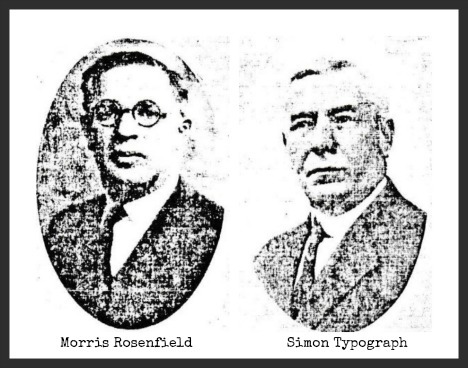 More than brothers-in law, Morris Rosenfield and Simon Typograph were brothers in the union. Both were active in the United Cloth Hat and Cap Makers of North America. Here's a bit of history. 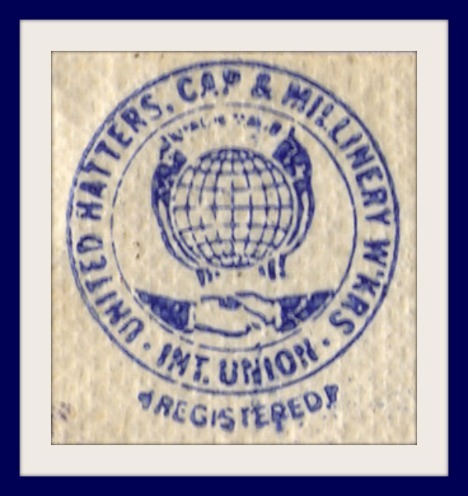 The United Hatters Cap and Millinery Workers International Union (UHCMW) was formed in 1934 by the amalgamation of United Hatters of North America (UHNA) and the Cloth Hat, Cap and Millinery Workers International Union (CHCMW). The United Hatters of North America (UHNA) was established in New York in 1896 as the result of the merger of two Knights of Labor-affiliated unions in the men's hat industry, the the Hat Makers and the Hat Finishers. The Cloth Hat, Cap and Millinery Workers International Union (CHCMW) was established in New York in 1901, as the United Cloth Hat and Cap Makers of North America (superseding the the Cloth Hat and Cap Operators Union), and took its final name (adding Millinery Workers) in 1918. In 1983 the UHCMW (a founding member of the Committee for Industrial Organizations) joined the Amalgamated Clothing and Textile Workers Union, which in turn merged in 1995 with the International Ladies Garment Workers Union to form UNITE (Union of Needletrades, Industrial and Textile Employees). 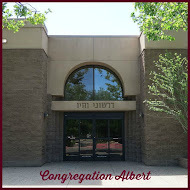 Abq Jew has documents & pictures! The union organizer Simon Typograph visited Boston, Philadelphia and Baltimore, where he tried to organize. 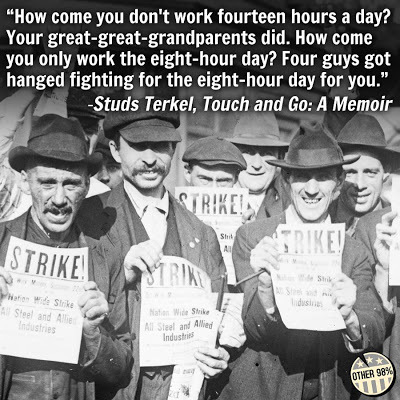 By October the foundation was finally laid, and the New York operator's union decided to call the 1st. capmakers union convention for Friday p.m. December 27th. It was decided that the New York organization should be entitled to 1 delegate for each 15 members, and the organizations over the country should be entitled to 1 delegate for each 25 members. The 1st. convention on Friday, December 27th,1901 should remain a historic date for the Millinery Workers Union of America. That day, at 8:30 p.m. they met at the Manhattan Lyceum, 66.E.4th. str., New York. 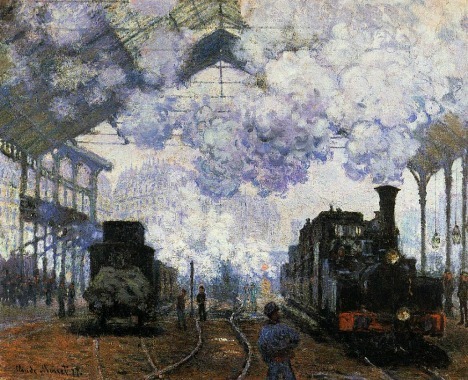 Without exaggeration it could be said that this Friday, December, 1901,is a new beginning for the capmakers and millinery workers that cannot be destroyed by conflict in which the freed worker gradually will be rid of the worst form of parasite that has eaten into this trade more than into any other; an organization in which the cap and millinery workers find enough strength to raise their standard of living to the best level of organized labor in this country, in which they find political and industrial freedom for the working people. Simon Typograph was a wonderful man. 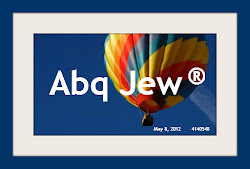 How does Abq Jew know? Because his family was still speaking about Simon Typograph many years after his death. the crown of priesthood, and the crown of kingship. And the crown of a good name is superior to them all. Remember how we got here! their Fall 2017 line-up of classes! 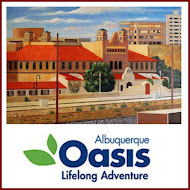 OASIS Albuquerque Executive Director Kathleen Raskob continues (as always) to bring you new and interesting class offerings, and continues to make sure there are plenty of courses of Jewish interest. What It Is: Gratefulness is the foundation of spiritual practice. A morning prayer of gratefulness is designed to open our hearts and energize us. Yet so often we get caught in the habits of complaint. In this workshop, learn practices that cultivate, nurture, and refine our ability to feel and express gratefulness. Use the practices of text study, chant, meditation and holy conversation to uncover the obstacles to gratefulness. What It Is: When the Jewish revolt against Rome was crushed by Titus in 70 CE, the Temple fell and Jerusalem was destroyed. 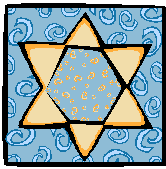 Yet, three towns became centers for Jewish survival and for the expansion of Jewish culture. The Mishna, a core document of the Talmud, was created in these locations. Examine this period, study selected texts, and consider how ancient strategies for survival can apply today. What It Is: Follow Sharon Nir's journey through the baffling and grueling legal immigration process in the United States. 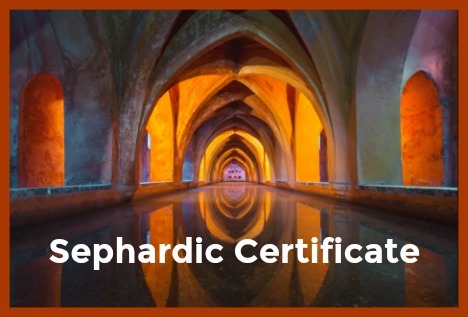 In this class, Nir describes the difficulties she faced coming to the United States as the spouse of a doctor. Unable to work because of her immigration status, she had two options: to grieve over everything she had lost or to pursue new directions. Struggling through difficult and rapidly changing circumstances, she eventually found fulfillment and happiness in the most unexpected way. What It Is: The heroine of the biblical Book of Ruth is a Moabite whose Jewish mother-in-law hatches a plan that involves an illicit relationship. Why is this strange story read on the Jewish holiday of Shavuos, which commemorates the revelation at Mount Sinai? 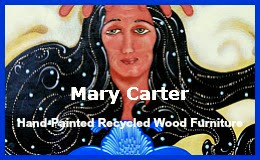 And how is King David, the prototype of the Jewish sovereign, linked to the Moabite woman Ruth? Engage in a close reading of this short and intriguing biblical story. What It Is: Naomi Sandweiss presents an illustrated talk about infamous Jewish mobsters including Meyer Lansky, Bugsy Siegel, Meyer (Mickey) Cohen, and Sandweiss' very own relative by marriage, Sammy the Mustache. Learn about the short-lived season of Jewish involvement in organized crime, the social forces that led to participation, and why the movement lasted for only one generation. What It Is: On November 29, 1947 - 70 years ago - the United Nations General Assembly passed Resolution 181 partitioning Palestine into Jewish and Arab states. The Jews reluctantly accepted the partition plan; the Arabs rejected it absolutely. A few weeks later the Arabs attacked the Jewish settlements, resulting in a dirty civil war. Several months later Israel declared its independence and won its struggle. Why did the UN get involved? Why did partition fail? 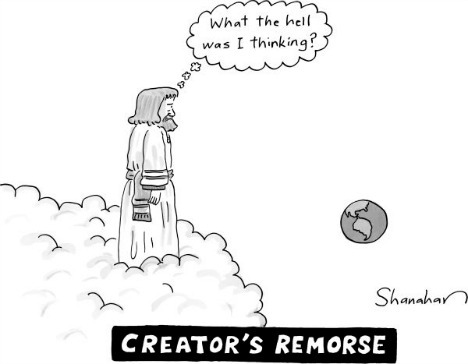 What were the consequences and results? 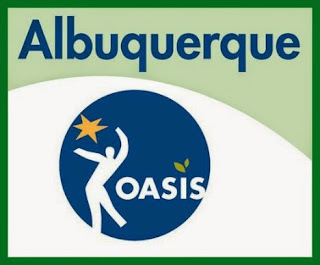 Regular OASIS Albuquerque instructor (and award-winning composer and recording artist) Jane Ellen also continues (as always) to bring you new and interesting class offerings, and continues to make sure there are plenty of courses of musical and Jewish interest. What It Is: Bob Dylan (1941- ) began as a songwriter, became a major player in the folk and electric folk scene as a performer, filled his spare moments with writing and art, and now includes Nobel Prize Laureate on his resume. The A&E series Biography refers to him as "one of the most influential singer-songwriters of the 20th century," citing Dylan songs that chronicled both social and political issues. Now 76, he continues to write, record, and perform. What It Is: This three-part series will focus on the invaluable contribution of Jewish-American composers, musicians, and entertainers to the tapestry of popular music in the United States since the late 19th century. Part 1 will trace the earliest roots from Tin Pan Alley to the Yiddish Theatre and finally on to the Great White Way, where Jewish-Americans almost single-handedly invented America's most valuable artistic export: the Broadway musical. 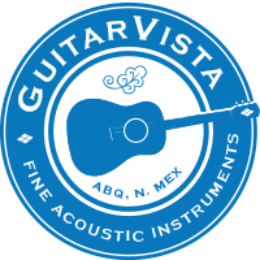 Future installments will include jazz, pop, and rock. What It Is: Born in New Orleans, educated in Paris, and dead at the age of 40 in Rio de Janeiro, concert pianist and composer Louis Moreau Gottschalk (1829-69) was the first American composer to take traditional native songs and turn them into something worthy of the concert stage. Many of his compositions were lost or destroyed after his death, but what remains display brilliant virtuosity and a remarkable genius for elevating the simplest tune into a breathtakingly beautiful melody. What It Is: Film soundtracks: Why do we need them? What's the point? Would movies be just as good without them? Aren't they just about making hit songs? These questions (and more) will be explored by Jane Ellen as we revisit legendary soundtrack composers including Ennio Morricone, Bernard Herrmann, Max Steiner, Erich Wolfgang Korngold, and Miklós Rózsa. Note: each class is 2 hours with a 10 minute break. What It Is: When singer-songwriter Neil Sedaka (1939- ) won a piano scholarship to the Juilliard School at the age of 12, his mother hoped he was destined to become another Van Cliburn. Happily for pop music fans, Sedaka went on to forge a career spanning nearly 55 years, during which time he has sold millions of records as an artist and has written or co-written over 500 songs, including "Bad Blood" and "Breaking Up is Hard to Do." 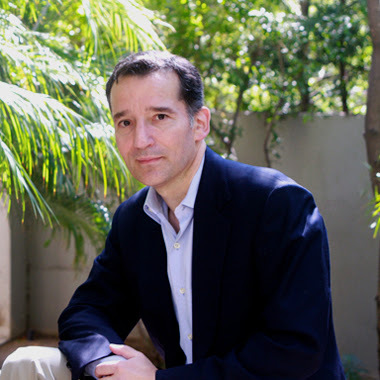 And The To Do List: As time goes by (as it tends to do), Abq Jew finds himself thinking more and more about less and less. This past week, in addition to worrying about neo-Nazism in America and the rise of the Alt-Right under the current, temporary governmental administration (they all are! 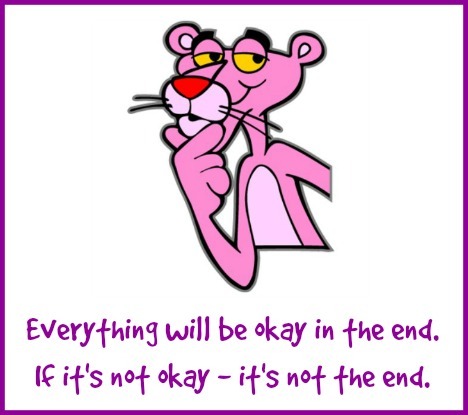 ), Abq Jew has been contemplating The Meaning of The Pink Panther in the context, of course, of The Meaning of Life. The Pink Panther is a series of comedy-mystery films featuring an inept French police detective, Inspector Jacques Clouseau. The series began with the release of The Pink Panther (1963). 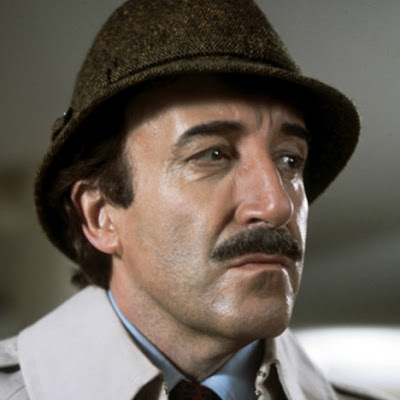 The role of Clouseau was originated by, and is most closely associated with, Peter Sellers. Most of the films were directed and co-written by Blake Edwards, with theme music composed by Henry Mancini. Elements and characters inspired by the films were adapted into other media, including books, comic books and animated series. 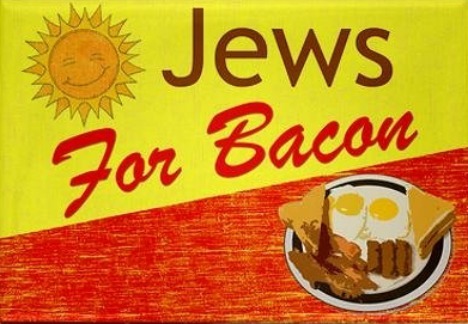 Here is the picture that started Abq Jew to thinking. It appeared, naturally enough (through execution of a complex algorithm that no one really understands), on his Facebook timeline. 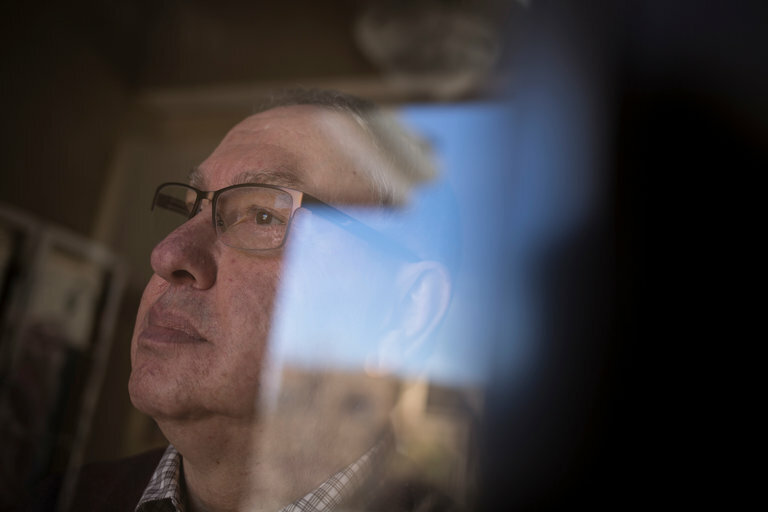 Abq Jew must admit: What is left of his brain does not work nearly as well as it once used to, and there are plenty who would say (with but a little bit of liquid or other encouragement) that it didn't ever work too well. So it took Abq Jew a couple of seconds. Then he got it. Here is a hint (if you need it). Or pure musical enjoyment if you don't. What, Abq Jew has begun to wonder, will he pass down to his children (and grandchildren, and to all future generations)? 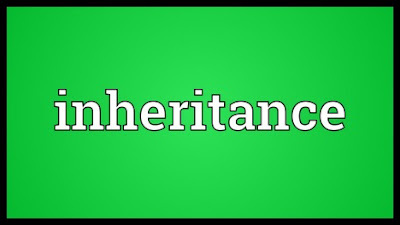 Things - money, real estate, and musical instruments - may count but for a small portion of their inheritance. Love of Jews and Judaism and Israel counts for a lot - you know, civilization. As does love of art, music, theater, dance - you know, culture. Also honesty, integrity, a fierce sense of right and wrong. Plus compassion and mercy for all of God's creatures. And a sense of humor. 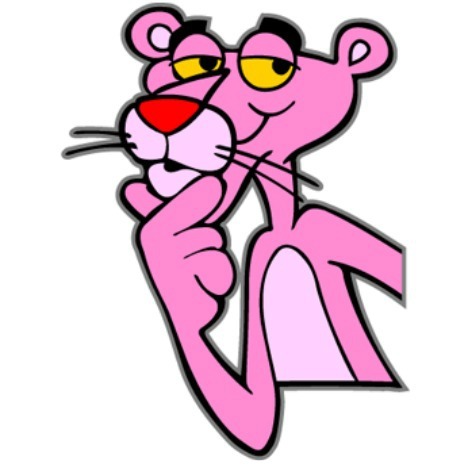 What is Jewish about The Pink Panther? Let's start with Peter Sellers. Sellers was born on 8 September 1925, in Southsea, a suburb of Portsmouth. His parents were Yorkshire-born William "Bill" Sellers (1900–62) and Agnes Doreen "Peg" (née Marks, 1892–1967). 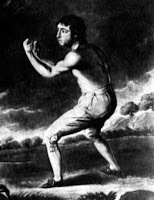 Peg Sellers was related to the pugilist Daniel Mendoza (1764–1836), whom Sellers greatly revered, and whose engraving later hung in his office. 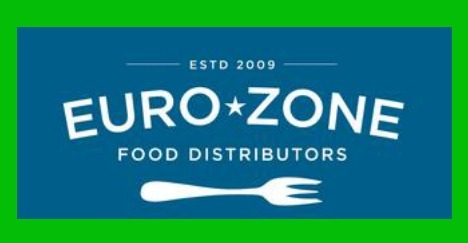 At one time Sellers planned to use Mendoza's image for his production company's logo. In 1935 the Sellers family moved to North London and settled in Muswell Hill. Although Bill Sellers was Protestant and Peg was Jewish, Sellers attended the North London Roman Catholic school St. Aloysius College, run by the Brothers of Our Lady of Mercy. 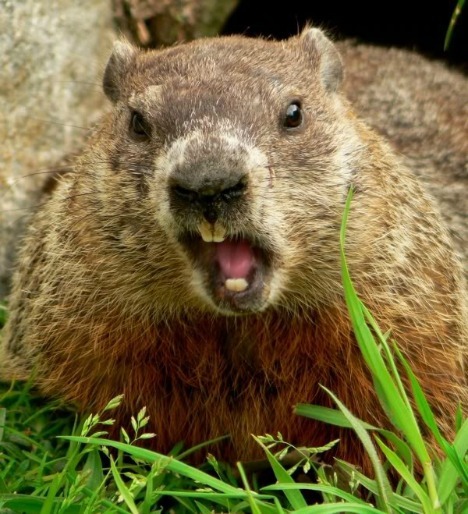 The family was not rich, but Peg insisted on an expensive private schooling for her son. According to biographer Peter Evans, Sellers was fascinated, puzzled, and worried by religion from a young age, particularly Catholicism, while Roger Lewis believed that soon after entering Catholic school, Sellers "discovered he was a Jew—he was someone on the outside of the mysteries of faith". Later in his life, Sellers observed that while his father's faith was according to the Church of England, his mother was Jewish, "and Jews take the faith of their mother." Moving on ... let's talk more about some of the people associated with The Pink Panther. Who were they and whatever happened to them? The film was "conceived as a sophisticated comedy about a charming, urbane jewel thief, Sir Charles Lytton". Peter Ustinov was "originally cast as Clouseau, with Ava Gardner as his faithless wife in league with Lytton". The film was initially intended as a vehicle for [David] Niven, as evidenced by his top billing. As Edwards shot the film, employing multiple takes of improvised scenes - it became clear that Sellers, originally considered a supporting actor, was stealing the scenes and thus resulted in his continuation throughout the film's sequels. When presenting at a subsequent Oscar Awards ceremony, Niven requested his walk-on music be changed from the "Pink Panther" theme, stating, "That was not really my film." Peter Sellers died of a heart attack on July 24, 1980, at age 54. Claudia Cardinale is still alive and speaking. She didn't speak in the film. 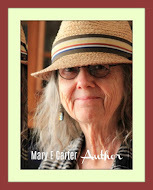 But someone spoke for her - Gale Garnett (still alive), known for her hit, We'll Sing in the Sunshine." In 1967, Lew Wasserman of Universal (there's your Jewish connection!) convinced Robert Wagner (still alive) to make his television series debut in It Takes a Thief (1968-70), thus completing Wagner's comeback. And then there's Capucine (Germaine Hélène Irène Lefebvre). In 1957, Capucine was "discovered" by film producer Charles K Feldman (another Jewish connection!). On March 17, 1990, Capucine jumped to her death from her eighth-floor apartment in Lausanne, Switzerland, where she had lived for 28 years, having reportedly suffered from illness and depression for some time. Finally, there's Fran Jeffries (Frances Ann Makris), who was "introduced" in the film for the sole purpose of singing Meglio Stasera (It Had Better Be Tonight; music by Henry Mancini, English lyrics by Johnny Mercer) while dancing provocatively around a fireplace. She died of multiple myeloma on December 15, 2016, at the age of 79.
could have turned out differently. But it didn't. But they didn't. 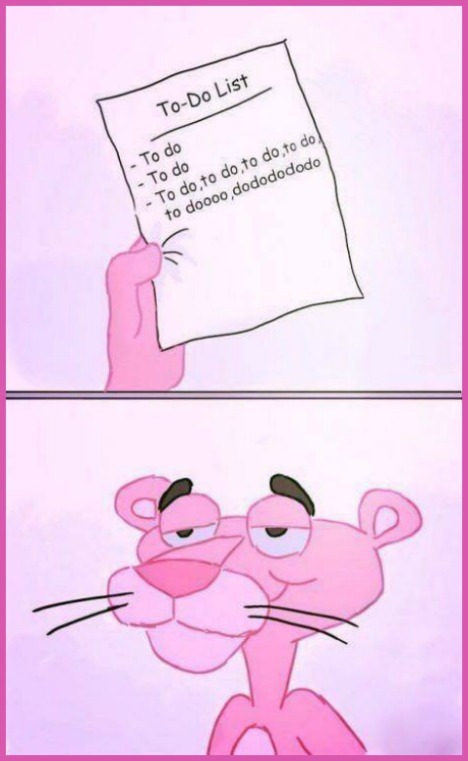 Which leads to the overall sense of meaningful happiness - in spite of all life's tragedies - that makes the tales of The Pink Panther so ... well, enjoyable. 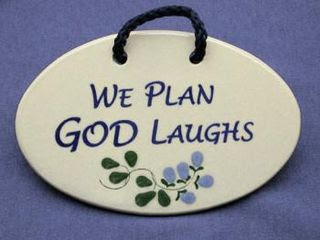 That makes our lives so enjoyable - in spite of everything. Abq Jew holds to this belief in spite of the fact that it is very clearly and very obviously not true. And he is proud to have passed this belief on to his children. As we enter the Hebrew month of Elul - a time for us to reflect, contemplate, and repent, as we prepare for the High Holy Days - let us keep in mind that life should be so much more than a to-do list. And let us begin the New Year with meaningful happiness. 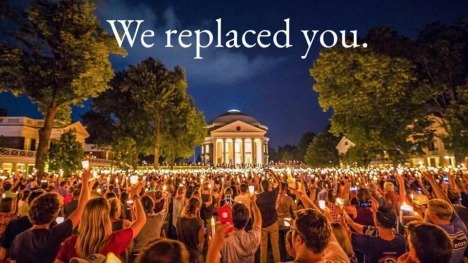 Tiki Torches and the Alt-Right: We have all been monitoring the terrifying events in Charlottesville - and their almost-as-terrifying aftermath. 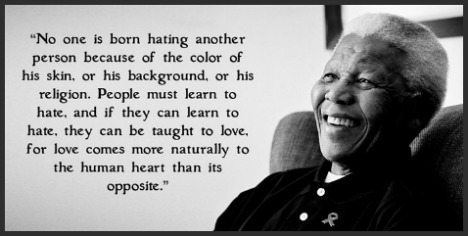 As Abq Jew and many others (see The Tragedy in Charlottesville) have pointed out, hatred, bigotry, and violence such as we have seen this week - on one side in particular - do not arise naturally. You've got to be carefully taught. 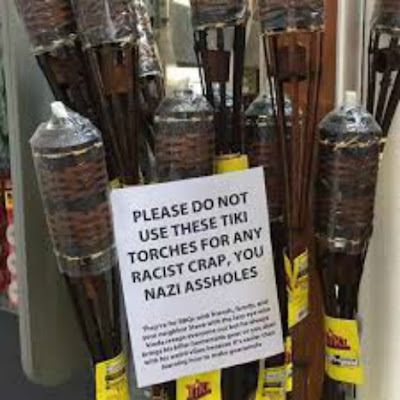 The attention of Abq Jew and of many in the news media has also turned to the Alt-Right's use of store-bought, mass-manufactured, citronella-scented tiki torches in lieu of, shall we say, manlier alternatives - you know, the Indiana Jones type. A tiki torch is a bamboo torch originating in Tiki culture, but increased in popularity and spread to other places where it is a popular party decoration and can create an island aesthetic to outdoor decorations. The popularity in America rose in the 1930s and further increased in the following decades.The TIKI brand of torches, common in the U.S., was launched in the 1950s; since 2001, the brand's products are made by Lamplight Farms Incorporated, a W. C. Bradley Co. subsidiary based in Menomonee Falls, Wisconsin. 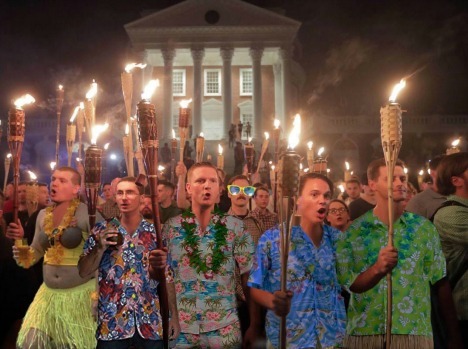 The result of the Alt-Right's tiki torch choice (and it is a choice) is the appearance of their hate march and demonstration as something more like a neo-Nazi hate luau. 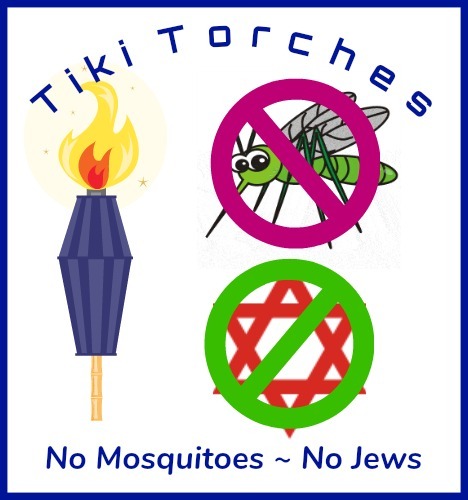 Which in turn has caused the Tiki Brand to distance itself from those white nationalists who used tiki torches in Charlottesville. Although the members of the Alt-Right have learned to hate, there are so many things they have never learned: how to love, how to honor, how to respect. How to get along with one another. Or how to make a proper torch. 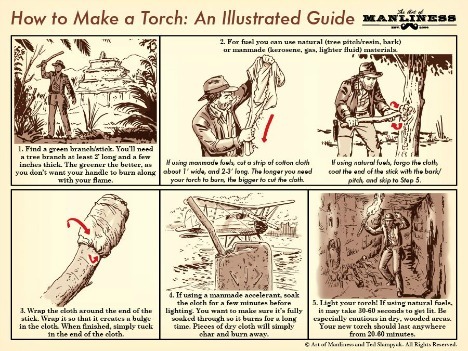 Fortunately, the Art of Manliness website offers An Illustrated Guide for How to Make a Torch. If only the Alt-Rightists could follow simple instructions. The week has been painful and dispiriting. 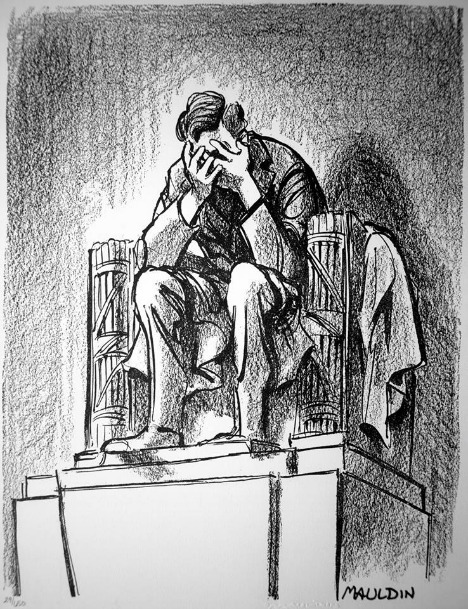 The single, simple truth is that seeing one's President hesitate, even for an instant, to condemn, anathematize and revile Nazis is soul crushing. I know this will unleash demons on this page. If you interpret or see this in political terms then your world is too binary and simple. 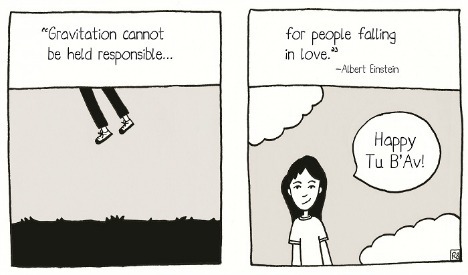 Or rather, it is not simple enough. For the simple truth is that anyone, left or right, who equivocates, who "on the other hands" this question, has debased themselves. And you have to call on the President to do what Jews call teshuva - repentance. being cruel to those who depend upon our kindness. 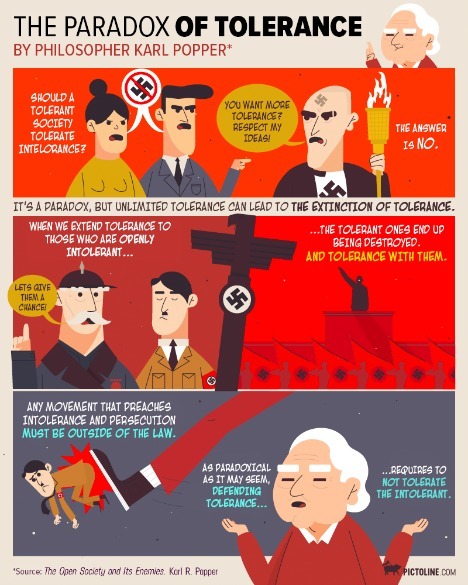 We as a society cannot tolerate intolerance. 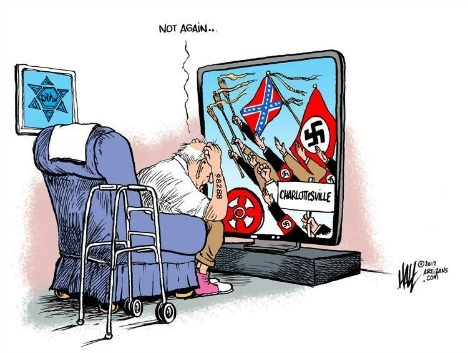 You've Got To Be Carefully Taught: Abq Jew has been deeply troubled by last weekend's hate rally / attack in Charlottesville, Virginia - even more than he was by May's attack in Portland, Oregon (see The Tragedy in Portland). 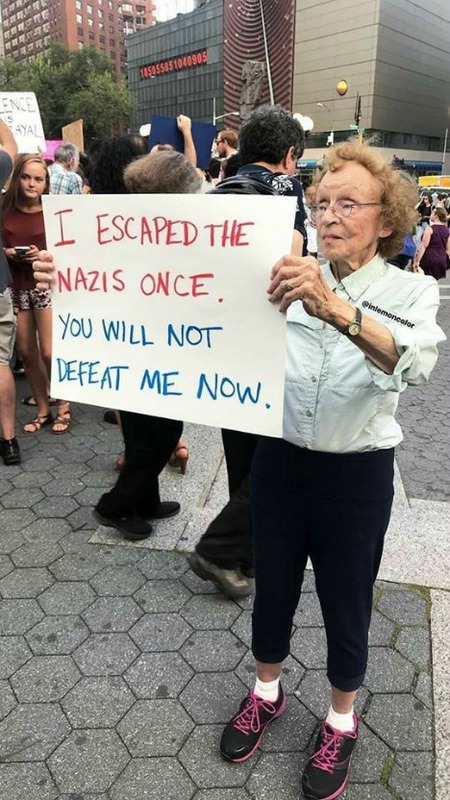 captured a photo of her grandmother at Sunday’s rally. The fight against racism in American society - and against the Alt-Right, Neo-Nazi, Skinhead, and White Supremacist groups that promote such racism - is a deeply Jewish fight. Abq Jew did not fully understand why that should be - until Yair Rosenberg, writing in The Washington Post, explained what happened in Charlottesville and why it happened. When white nationalists descended upon the historic Virginia city to protest the removal of a statue of Confederate general Robert E. Lee, their “Unite the Right” rally gathered a veritable who’s who of top neo-Nazis in the United States, including Ku Klux Klan Grand Wizard David Duke and alt-right leading light Richard Spencer, among others. They immediately went after the Jews. 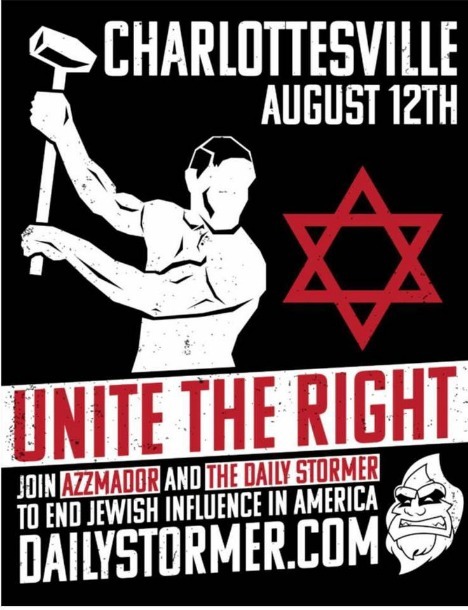 At their Friday night rally at the University of Virginia, the white nationalists brandished torches and chanted anti-Semitic and Nazi slogans, including “blood and soil” (an English rendering of the Nazi “blut und boden”) and “Jews will not replace us” — all crafted to cast Jews as foreign interlopers who need to be expunged. This conduct is not incidental to the white nationalist program; it is essential. “The successes of the civil rights movement created a terrible problem for white supremacist ideology. White supremacism — inscribed de jure by the Jim Crow regime and upheld de facto outside the South — had been the law of the land, and a black-led social movement had toppled the political regime that supported it. How could a race of inferiors have unseated this power structure through organizing alone? … Some secret cabal, some mythological power, must be manipulating the social order behind the scenes. This diabolical evil must control television, banking, entertainment, education and even Washington D.C. It must be brainwashing white people, rendering them racially unconscious. What is this arch-nemesis of the white race, whose machinations have prevented the natural and inevitable imposition of white supremacy? It is, of course, the Jews. For this reason, Jews are the only “white people” obsessively targeted by white supremacists. Which brings Abq Jew to Bald Piano Guy. AKA Alan C Schwartz, a music teacher from Roslyn, Long Island. Who is bald, plays piano, and performs satires and parodies. Rather well, Abq Jew thinks. And who has his own Facebook page and YouTube channel. Of course. Here is Bald Piano Guy's interpretation of Rodgers and Hammerstein's You've Got To Be Carefully Taught, from their musical South Pacific. 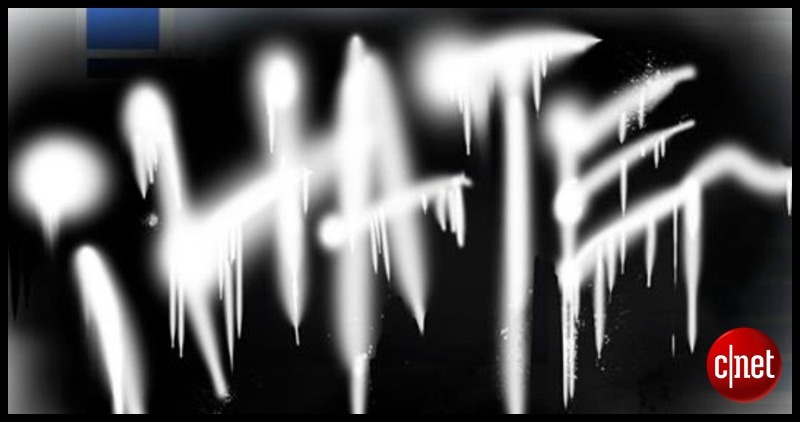 How do people learn to hate? South Pacific received scrutiny for its commentary regarding relationships between different races and ethnic groups. 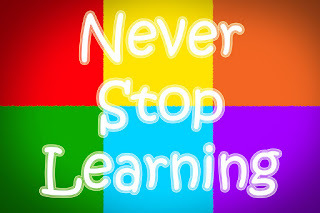 In particular, "You’ve Got to Be Carefully Taught" was subject to widespread criticism, judged by some to be too controversial or downright inappropriate for the musical stage. Sung by the character Lieutenant Cable, the song is preceded by a line saying racism is "not born in you! It happens after you’re born..."
Rodgers and Hammerstein risked the entire South Pacific venture in light of legislative challenges to its decency or supposed Communist agenda. While the show was on a tour of the Southern United States, lawmakers in Georgia introduced a bill outlawing entertainment containing "an underlying philosophy inspired by Moscow." One legislator said that "a song justifying interracial marriage was implicitly a threat to the American way of life." Rodgers and Hammerstein defended their work strongly. James Michener, upon whose stories South Pacific was based, recalled, "The authors replied stubbornly that this number represented why they had wanted to do this play, and that even if it meant the failure of the production, it was going to stay in." And How Much Wood? Yes, Abq Jew is on the road again! Sorta. He is now sitting in the Kitchen of the Home of the Daughters Who Are Grand on the Island That Is Long. You know - LIRR. ISP. LIE. New York. Following Tisha b'Av, there are seven prophetic readings of consolation - all from Isaiah - that comfort us after the Black Fast and prepare us, emotionally and spiritually, for the upcoming High Holy Days. The first of these - Shabbat Nachamu - has already passed. 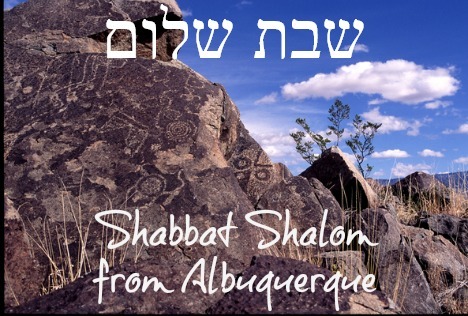 But ICYMI, Abq Jew has thoughtfully prepared something to comfort us for the remainder of the week. Abq Jew speaks of the recent appearance on The Tonight Show of Kevin Bacon and Kyra Sedgwick. Who, along with Jimmy Fallon, presented an exemplary "First Drafts of Rock" parody of Peter Paul and Mary singing Bob Dylan's Blowin' In The Wind. Kyra Sedgwick and Kevin Bacon, ninth cousins once removed, have been married since 1988. And their anniversary date is September 4. Sedgwick was born in New York City, the daughter of Patricia (née Rosenwald), a speech teacher and educational/family therapist, and Henry Dwight Sedgwick V, a venture capitalist. Her father was Episcopalian and of English heritage, and her mother was Jewish. Sedgwick has identified herself as Jewish and has stated that she participates in Passover seders. 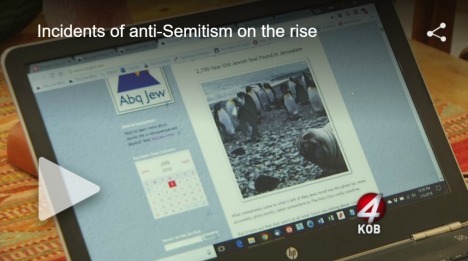 But Abq Jew digresses. Here, for your enjoyment, in their latest First Drafts of Rock appearance, is ... are ... Jimmy Kevin and Kyra! And here, for your introspection, are the lyrics (with appropriate illustrations and incredibly convenient hyperlinks)! How many roads must a man walk down before they call him a man? How many rows must a minivan have before it’s a regular van? How much sand must a beach have before you say, “Hey, that’s way too much sand"? How blurry must a gorilla photo be to be confused with Bigfoot? How could you clap without hurting yourself if you were Captain Hook? 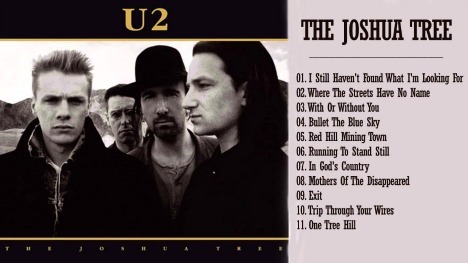 What is your 3rd favorite U2 album? Hey Peter, please stop asking me. Then what is the time at which Train A is passed … by Train B? The answer, my friend, is 2 o’clock pm. 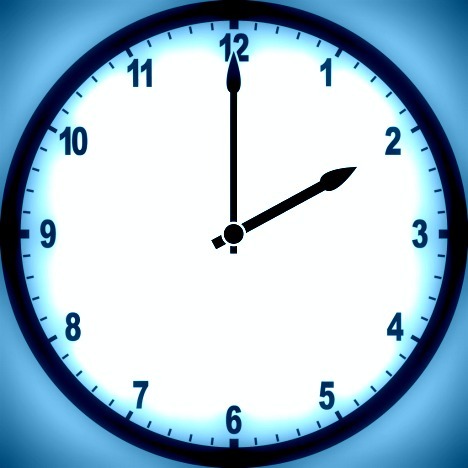 The answer is 2 o’clock pm. Want to compare the parody with the original? Here you go! 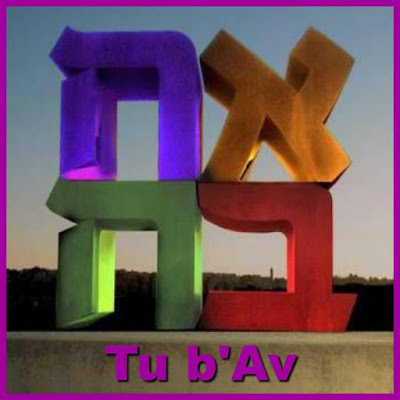 Not The Day Before Three b'Av: Tu b'Av is the fifteenth day of the month of Av. 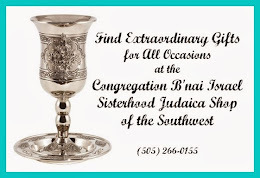 In old time Biblical Israel (Abq Jew recalls), Tu b'Av was one of the happiest holidays of the year. An American folk event, Sadie Hawkins Day is a pseudo-holiday that originated in Al Capp's classic hillbilly comic strip, Li'l Abner (1934–1978). This inspired real-world Sadie Hawkins dances, where girls ask boys out. There are no days as festive to Israel as those of Yom Kippur and the fifteenth of Av. The daughters of Israel used to dress in white and go out to the fields to dance and young men would follow after them. OK, then. Back to Tu b'Av. 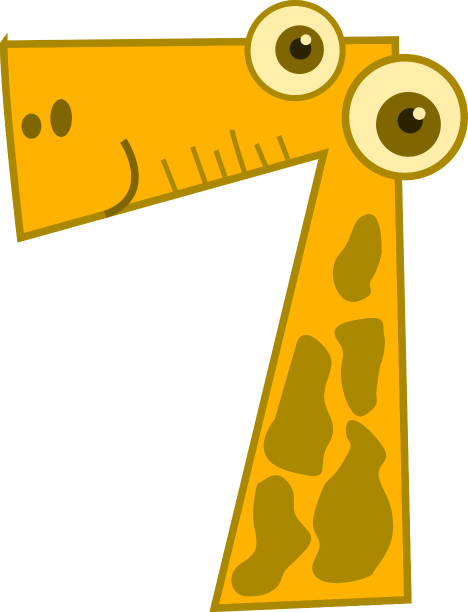 Why is it spelled (בעברית) with a tet and vav, when other teen numbers are spelled with a yud? Because the number 15 (and, for that matter, 16) would get a little too close to the Tetragrammaton (the four-letter name of G-d) for the Rabbis' comfort. 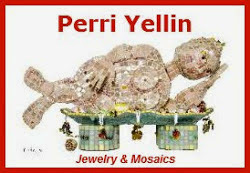 In fact, the 15 combination of yud and hey would spell out one of the common abbreviations for G-d's name, as in the word Hallelujah (literally, Praise G-d). 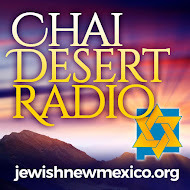 And now, in the festive spirit of Tu b'Av, Abq Jew proudly presents Linda Ronstadt's rendition of It's So Easy (To Fall in Love) from her 1977 album Simple Dreams. Did you notice that Abq Jew said nothing about Tetragrammaton being one of the Transformers?